Jake Yanoviak is hunting for houses. 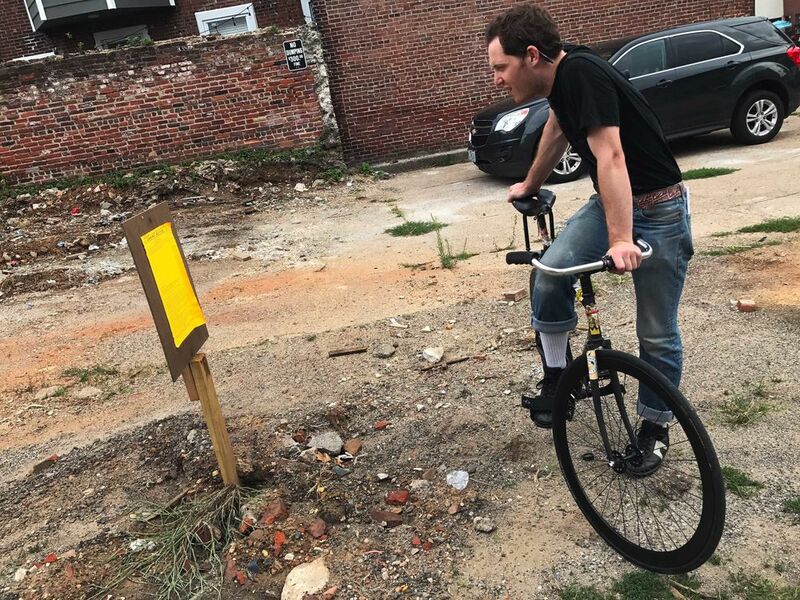 On a weekday afternoon in North Philadelphia, the 23-year-old painter cruises along on his bike, its black paint obscured under stickers from breweries and rock bands. He turns onto a side street, where he spots a few elderly neighbors, standing on adjoining porches. He parks, leans on one handlebar and makes his pitch. To succeed, buyers and real estate brokers must show uncommon persistence and, at times, diplomacy. Yanoviak has tried sheriff’s sales, lost two bidding wars, ridden miles on potholed streets and left notes in mailboxes, all to no avail. Public policy contributes to the generational standoff. 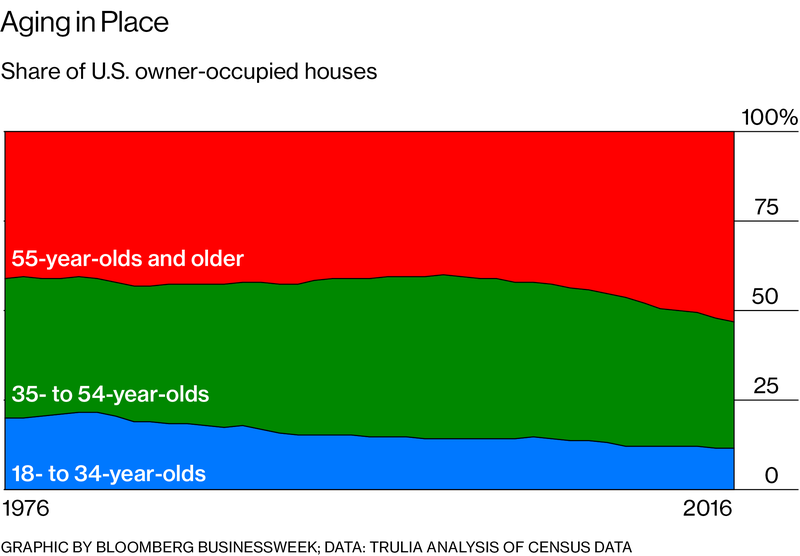 Property-tax exemptions for longtime residents keep older Americans from moving. Zoning rules make it harder to build affordable apartments attractive to senior citizens. In Alameda, California, east of San Francisco, 38-year-old Angela Hockabout, her husband and their two children live with her 76-year-old mother-in-law, who is holding onto the home because the real estate taxes are so low. Under the almost-40-year-old ballot measure Proposition 13, they are tied to the property’s value when the house was purchased in the 1970s. In Omaha, Nebraska, Bill and Peg Swanson, a couple in their late 60s, say they might move if they could find affordable single-family homes aimed at seniors nearby. Still, like many from their generation, they like aging in place, tending their garden of green peppers, kale and tomatoes. That kind of thinking ends up costing young home shoppers such as Yanoviak. 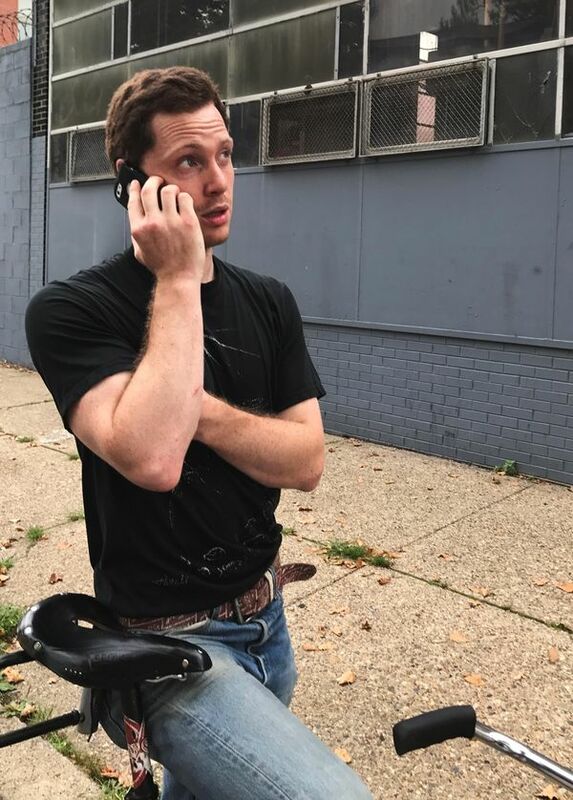 After graduating from Carleton College in Minnesota with a degree in media studies, he now lives in West Philadelphia with his parents, an arborist and a director of a nonprofit. For a living, he does carpentry and helps paint movie sets. He’s looking at homes costing as much as $200,000 and may rent out rooms to friends. Yanoviak looks at a Philadelphia zoning notice outlining a plan for multifamily units on that site. Yanoviak scouts property with Google Maps, Zillow and the city’s property-record site. When he finds something, he calls his real estate agent, Cecile Steinriede, who checks it out. He also keeps an old-school sheaf of letters in the rear pocket of his pants, so he can hand them out or slip them in mailboxes. 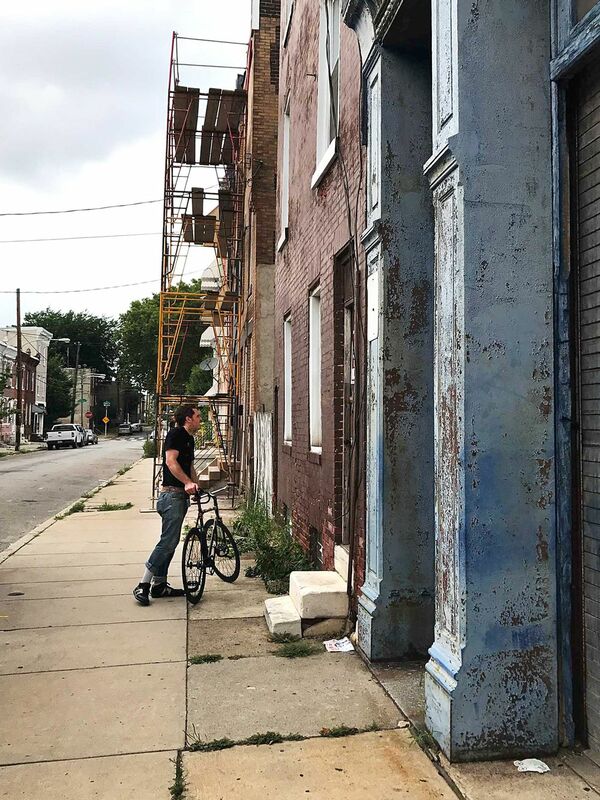 Yanoviak has his sights on a neighborhood called Brewerytown, a community of brick, masonry and vinyl row houses that range from tidy to decaying, with paint peeling, holes in roofs and weeds growing from cracks in sidewalks. Along with inter-generational tension, Yanoviak’s search raises delicate questions of race and class. He’s white and college-educated, and he’s often knocking on the doors of working-class black homeowners who see their homes as key to an affordable retirement and a way to pass wealth to future generations. (None would give their names.) Yanoviak acknowledges the awkwardness. It doesn’t help, he says, when developers assault residents with insulting, low-ball cash offers. Yanoviak inspecting a house in the Brewerytown district. Resentments fester in neighborhoods of all ethnicities. In a traditionally Italian section of South Philadelphia, which is now out of Yanoviak’s price range, 70-year-old Nick Ingenito, sits on the front steps of the three-story brick house his grandmother’s aunt bought in the early 1900s. On a recent Thursday evening after work, Yanoviak, wearing a black T-shirt, jeans and a brown belt emblazoned with the Schlitz logo, mounts his bike to make the housing round. On one of his first stops, a black cat slinks under the wooden gate next to an abandoned house with bay windows that piqued Yanoviak’s interest. Using his bike as a ladder, he stands on the seat and stretches his chin over barbed wire. All he can see are bed springs and junk. Yanoviak starts cycling again, taking both hands off the handle bar to tap on his iPhone, noting the address of a property he might want to revisit. Yanoviak carries pitch letters with him to hand out to homeowners and slip in mail boxes. He stops to chat with the pastor of a church, which owns a handful of properties but isn’t selling. “No, we’re holding out for God to do what he said he was going to do and that is to give us the block,” the pastor tells Yanoviak. Then, he sees a gray-haired man puttering in his garage. “I’m looking at properties in the neighborhood, there isn’t a whole lot on the market so I’m cold calling,” Yanoviak says. It turns out the price is for the whole block. Even then, the potential seller has second thoughts. 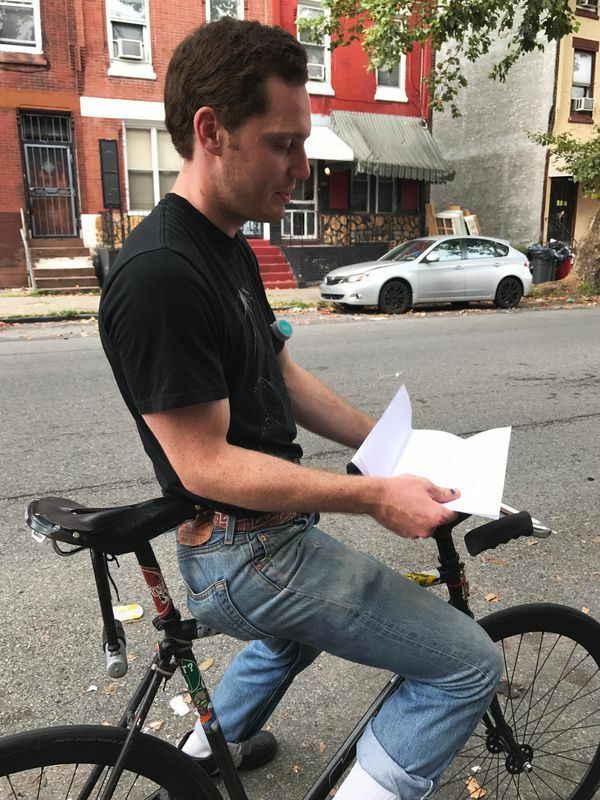 After a few hours chatting with a half dozen owners and visiting eight properties, Yanoviak gets back on his bike, his pitch letters still hanging from the back pocket of his jeans. He heads back to his parents’ house, deferring for yet another day his search for a home. This entry was posted in Housing Market and tagged affordable housing on November 22, 2017 by Bone Fish.